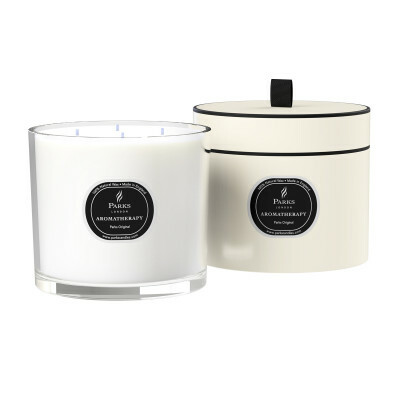 If you’re a fan of the glorious scent of our lime, basil and mandarin blend, you’ll love this stunning four-wick candle that gives you around 100 hours of your favourite heavenly fragrance. 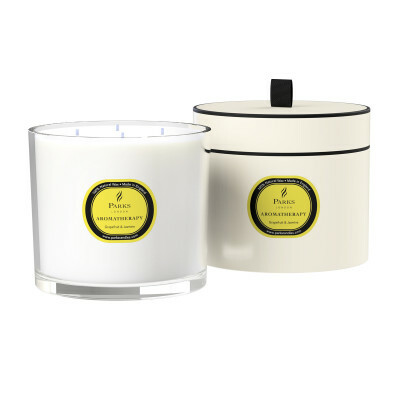 Treat yourself to the ultimate way to relax that can be used whenever and wherever you need it - or give this gorgeous candle as a beautiful and thoughtful gift to a loved one in need of pampering. This delightful candle is perfumed with the crisp, vibrant aromas of lime and mandarin, mixed with sweet, peppery basil – for an uplifting and refreshing experience that you’ll long to come home to. Our beautifully pure essential oils are lovingly sourced from the very best suppliers around the globe and intensely infused into 100% natural candle wax, manufactured from sustainable sources by our expert team. 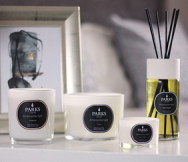 Our aim is to produce the finest candles in the world and for that reason, we do not use paraffin/petroleum or palm waxes in our refined blend. All crops used are free from synthetic fertilisers, hormones and pesticides to ensure that your candles are as pure as they can be. This large 1600g candle measures an impressive 13cm in height by 15cm in width and is presented in a beautiful glass container that makes a delightful display item. Like all of our items, it comes in its own charming presentation box in sleek white with smart black edging and a neat black loop on the lid. A truly luxury item that will bring many hours of pleasure, whether purchased for use in the home or bought as a thoughtful gift for friends or family.